Marksmen bring to campus a wide array of perspectives and viewpoints. A dynamic learning environment encourages students to share their experiences and prepares them for an increasingly diverse society and a global economy. At St. Mark’s, we treat one another with great care and respect, honoring our important differences while at the same time focusing on the common values and principles that unite us. We will continue to expand our outreach to find the best and brightest boys and endeavor to make it possible for them to enroll, contribute, and thrive. A. Evaluate and strengthen our admission practices to attract, enroll, and retain the most qualified students. Broaden and increase our pool of applicants from across the greater Dallas area. Ensure that each admitted student demonstrates strong academic potential and a commitment to St. Mark’s core values. Seek to identify students with a wide variety of talents, strengths, and abilities who will thrive and contribute in our community. Expand the admission office outreach efforts to communicate with a wider range of prospective applicants. Expand the annual assessment of progress toward strategic enrollment objectives. B. Increase the availability of financial support at St. Mark’s in order to enroll the most qualified students, regardless of financial need. Substantially increase restricted and unrestricted endowment to strengthen the School’s commitment to admitting and supporting the most qualified students. Increase the available financial aid budget by at least fifty percent above current levels to support a greater number of students and families. Ensure that the financial aid program includes support for both tuition assistance and ancillary costs associated with student life and co-curricular opportunities. Communicate all available funding opportunities more effectively. Strengthen the annual and long-term evaluation of and reporting on financial aid initiatives. C. Develop a long-term strategy to slow tuition escalation and improve access and affordability. Research and identify additional ways that the School can manage the escalation of tuition, while also maintaining the strength, depth, and support of programs and faculty. Explore academic partnerships, corporate partnerships, online classes, and other collaborative learning opportunities designed to enhance the School’s programs, while also generating additional revenue or containing costs. The caliber of the St. Mark's student body doesn't happen by chance. 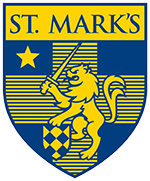 Through the dedication of the School's Admission Officers, St. Mark's is able to identify and attract boys from around the world who will contribute to and thrive in the community. Roderick Demmings ’12 is a Marksman who personifies this commitment to student recruitment. After a teacher heard Roderick perform at a church piano recital, he was encouraged to apply to St. Mark's. With the help of financial aid, Roderick was able to enroll in the seventh grade, where he flourished. During his Upper School career, Roderick formed and led the St. Mark's Gospel Choir, traveled with the St. Mark's Choir to South Africa, and was a National Achievement Scholar his senior year. He also promoted the annual Community Service Gift Drive, sharing with classmates his own childhood experience of receiving a keyboard as a gift while living in a homeless shelter. After graduating, Roderick studied at the Peabody Conservatory at Johns Hopkins University. 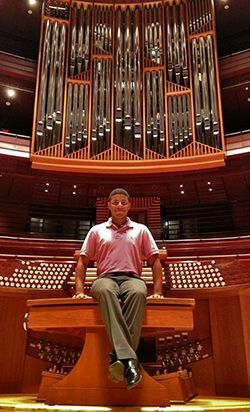 As an organist, he has performed in some of the most famous venues in the world, including Carnegie Hall, the Kennedy Center, and the Vatican. He is currently touring the nation as half of the concert organ and piano duo "Double Treble" and serves as the music director for two churches in Baltimore.